In every single city, town and village there is a festival which gets all the townsfolk out in the street to celebrate. Learn about long and unique traditions and deep-rooted customs that pass on through generations. Enjoy culture with time-honored traditions on this Maundy thursday evening small group tour by minivan from Barcelona to Girona region. Visit the monumental city of Girona and later on experience the traditional Dance of Death in the medieval village of Verges. Maundy Thursday is one of the most eagerly awaited days in the village of Verges. In its walled old quarter it is represented the Passion of Christ that has become famous for the Dance of Death. The feelings that appear when watching it are unexplainable, regardless your religious trends. This is the perfect tour for a group interested in the local way of living religion in Spain. Tour of Montblanc. Taste of tradictional Montblanquin sweets, participate in a local festival first-hand and go back to the XIV century: arts&crafts, old cuisine, medieval shows. 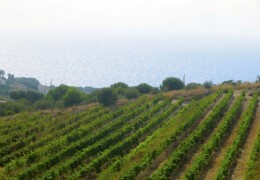 Moreover, visit a winery and cellar with wine/cava tasting. Visit the beautiful city of Tarragona, UNESCO World Heritage Site and visit the Roman Aqueduct. 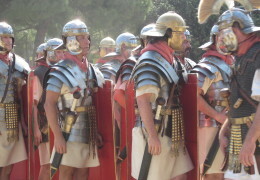 At the same time, see gladiators battling or taste Roman Cuisine. In the morning we will step off the mass tourism of Barcelona to discover the impressive and beautiful Costa Brava. We will discover Calella de Palafrugell, a small delightful fisherman village of withe houses that reach right to the sea-front. In the afternoon at Girona, where you’ll enjoy the floral decoration of the monumental city and the courtyards, which are opened to visitors in “Temps de Flors” (Flower season Festival), held only once a year in May. 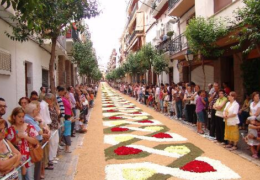 Visit the beautiful city of Sitges and its old town and get amazed by the beautiful carpets of flowers around the city. 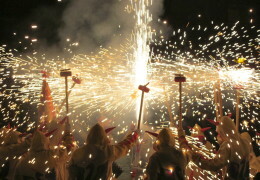 Surely any mention of Berga will bring La Patum to mind, declared Masterpiece of the Oral and Intangible Heritage of Humanity by UNESCO in 2005. 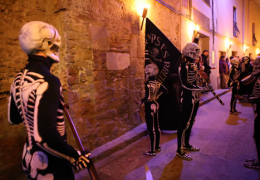 So, in this tour the group heads up to Berga to get involved in the magical atmosphere of La Patum, one of the most popular festivals in Spain. Theatrical performances of a variety of effigies animate the streets of this medieval town. The celebration takes place only once a year and it is more than a festival; it is an exceptional popular and traditional event with an enormous expression of feelings and emotion of a whole community. 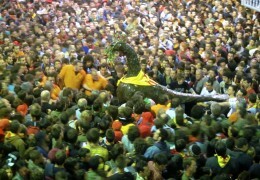 Decide whether to watch the unique and singular spectacle or dance with the figures between the crowds, which a very traditional activity among Catalans is. 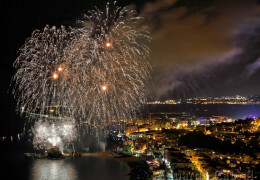 Live the Blanes firework competition with the summer weather. 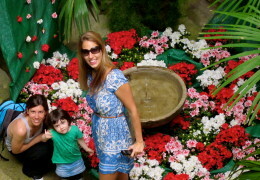 Get your Botanical garden entrance ticket and enjoy the firework from a boat. However, get the opportunity to see this terrific competition with a light dinner of Spanish Tapas, Cava and Sangria. 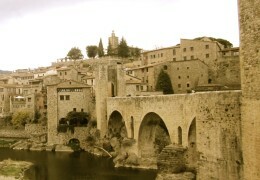 Visit the Monumental city of Girona and then start the Medieval tour in Besalú. Where you have the choice to taste Ratafia (local beverage) and our catalan food too. Discover the ancient settlement of Vic. Learn everything about history of the old center of the town. Mingle between locals in the busy streets, decorated to give them a 14th-century atmosphere, the smells and the music of other times transport visitors to the heart of a very lively popular Medieval festival. Your local guide will explain you legends about the old times in Vic, while walking along its narrow streets and stopping at very interesting market stalls. Taste local sausages, which is Vic’s delicatessen! Watch villagers dressed as devils and dancing to the sound of the drums and turning the village into a fiery cauldron of light and fireworks. The ‘Fire-running’ is a show of fire that waits until the sun is down to perform in an amazing fire parade. It is a unique, real and unforgettable experience! Dance with the devils between the crowds or just watch the spectacle of fire. 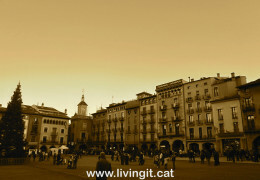 Living it organizes real local experiences during the days you are in Catalunya. We will show you what is on the local life during your stay. There are special and traditional events every week. 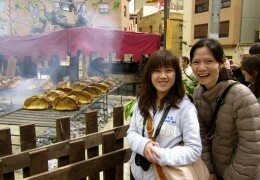 Do not miss them and join us to experience local culture first hand (gastronomy, nature, traditions and culture).